The Chairman of the London Ambulance Service is preparing to leave his post after overseeing a decade of changes and improvements. 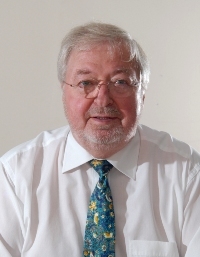 Sigurd Reinton CBE will complete his third and final term next week after serving 10 years in the role – the legal limit for an NHS appointment. In that time, the Service has seen major changes to the way that emergency calls are handled and responded to, including pioneering the direct transfer of heart attack patients to specialist centres. Staff have also worked hard to achieve year-on-year improvements in response times, particularly to patients with potentially life-threatening illnesses and injuries. Mr Reinton said: “It’s been a fabulous experience and I’ve enjoyed every minute of it. “Leaving will be a wrench – the Service has got under my skin as I know it does for almost everyone who gets involved with it. “I am honoured to have been allowed to play a role in an organisation that so directly touches the lives of Londoners and will be leaving behind a fantastic group of people – including the many frontline and support staff I have met over the years – and many good friends. For further information on the London Ambulance Service or this news release, please contact the Communications Department on 020 7921 5113.